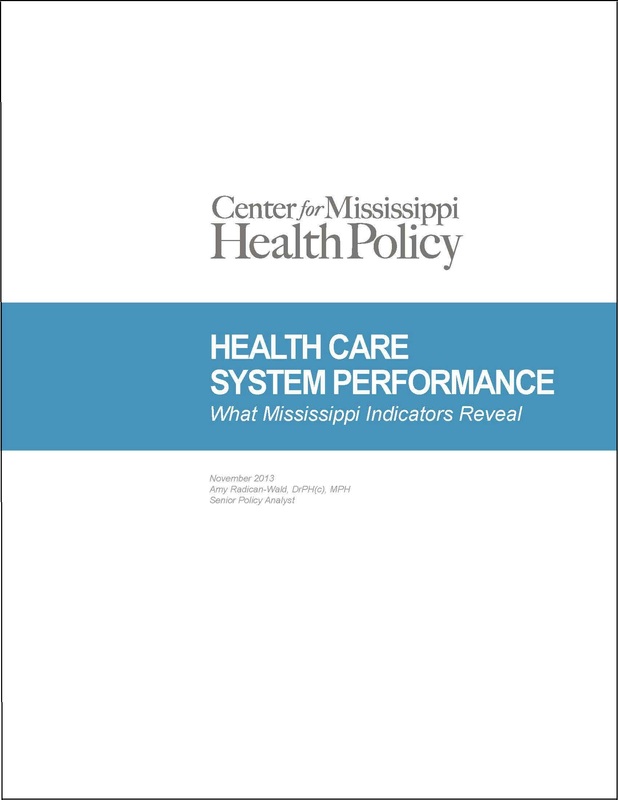 National indicators of health care system performance generally show Mississippi as underperforming most other states on several standard measures. Many of the performance indicators stem from the Institute of Medicine (IOM) seminal report, Crossing the Quality Chasm, which highlighted the need to redesign fundamental health care system structures to improve health outcomes. The IOM report also documented how the nation could achieve health improvements through coordinated care delivery systems. Health care experts have since built upon the IOM report’s key concepts by harnessing the available data on health care services to produce a myriad of system performance indicators in order to monitor progress toward better health outcomes. 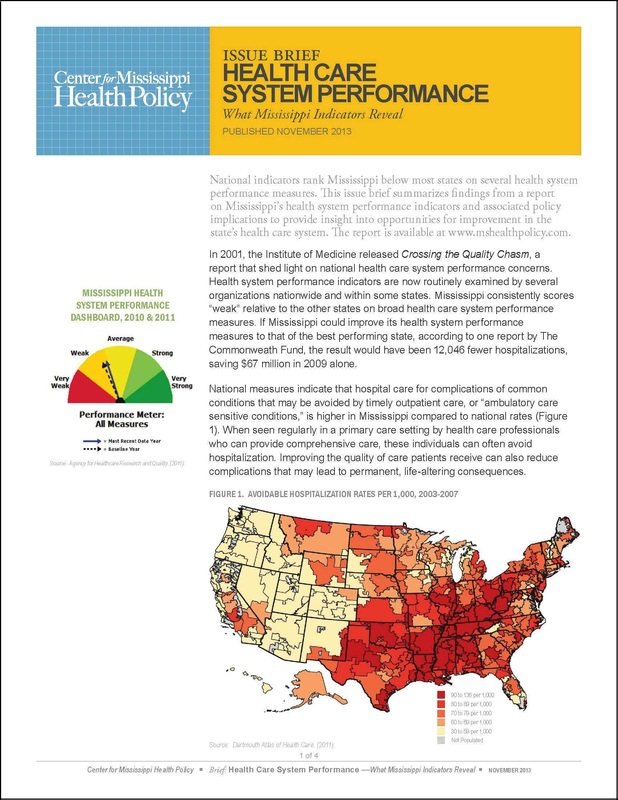 The Center for Mississippi Health Policy has compiled data from a variety of sources that serve as indicators of Mississippi’s health care system performance, including Prevention Quality Indicators (PQIs). The Mississippi State Department of Health has begun generating state-level PQIs that can be compared to national PQIs developed by the Agency for Healthcare Research and Quality. The Center has prepared a Report examining these data, along with other health care system performance measures. The Report also outlines information related to system improvement initiatives in other states, ongoing work within Mississippi, lessons learned by those who have tested performance improvement strategies, and policy implications. An Issue Brief summarizes the highlights of the Report. Mississippi consistently scores “weak” relative to other states on broad health care system performance measures. Mississippi has high rates for complications of some of the most common conditions that may often be avoided by the provision of timely and routine outpatient care. The data describe a system that is oriented toward later stage, higher cost acute care and less toward early preventive and primary care. 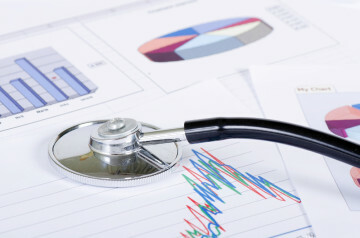 Researchers have estimated that if Mississippi could improve its health system performance measures to that of the best performing state, the result would be thousands of fewer hospitalizations and millions of dollars in savings related to costly hospital care each year. Health leaders in Mississippi recognize the signals of the rapidly changing health care environment and have begun implementing strategies to adapt and improve health care system performance, but the work is uncoordinated. The state lacks a comprehensive set of strategies as seen in some other states. Copies of the issue brief can be downloaded HERE. Copies of the complete report can be downloaded HERE. Printed copies of the issue brief are available by contacting the Center for Mississippi Health Policy at 601-709-2133 or by e-mail at info@mshealthpolicy.com.